This beautiful quilt has an array of embroidered flowers and fill blocks of hearts and shells. 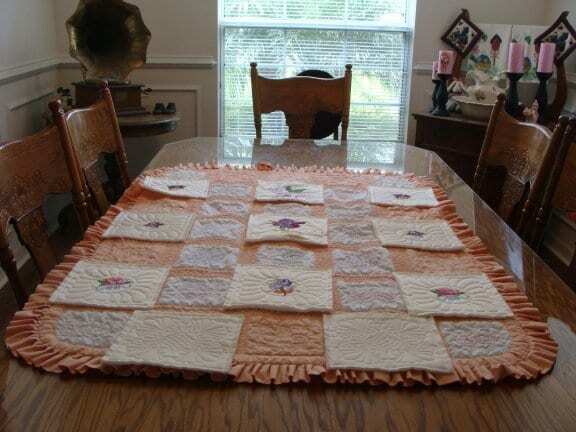 Each individual block is made and quilted in the hoop with batting and then is easily assembled by sewing together on a regular sewing machine. Complete easy to follow instructions are included in the download.